George recently received training in Sweden to teach the Suzuki method for trumpet. This is the only place in the world offering this training. He was in the first group of U.S. teachers to get this training, and the only teacher in Washington state. He loves teaching beginners to advanced and adult students. This training gives him the tools to work with even younger beginners. George Steward earned a Bachelor of Music in trumpet performance at Wheaton Conservatory of Music and a Master of Music in trumpet performance at Yale School of Music. While at Yale he received the Keith Wilson Scholarship for Outstanding Wind Player and earned Honorable Mention in the concerto competition. Also, while at Yale, he performed in France and at the 1987 New York Brass Conference. 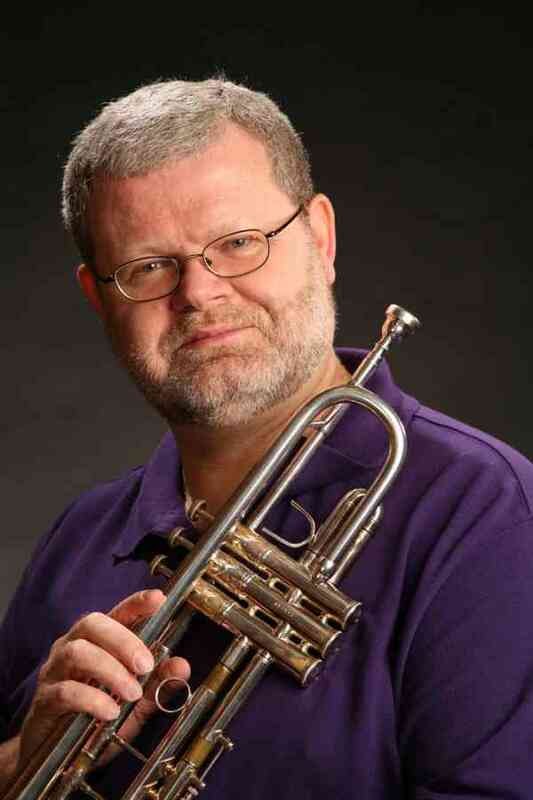 He has studied trumpet with Terry Schwartz at Wheaton, Ross Beacraft of Chicago Brass Quintet, William Scarlett of Chicago Symphony, and Robert Nagel of New York Brass Quintet and trumpet professor at Yale. He is principal trumpet with Everett Philharmonic, Cascade Symphony, and Octava Chamber Orchestra and is a member of Lake Washington Symphony. George is a member of the Brass Reflections quintet and Evergreen Brass Quintet. He has performed with the Seattle Symphony, Seattle Opera, Bellevue Philharmonic, Tacoma Symphony, Yakima Symphony, Orchestra Seattle, Lake Union Civic Orchestra, and many other groups throughout the Northwest. He has soloed with a number of ensembles, including Wheaton Summer Symphony (IL), Central Connecticut State University Chamber Orchestra, Clinton Symphony (IA), as well as other high school, college, and community bands. Locally, George has been featured soloist with: Everett Philharmonic, Octava Chamber Orchestra, Skagit Symphony, Sammamish Symphony, Northwest Wind Symphony, Everett Symphony, Cascade Symphony, Mukilteo Community Orchestra, Philharmonia Northwest, Eastside Symphony, Brass Band Northwest, Boeing Employees Concert Band, and Whatcom Wind Ensemble.